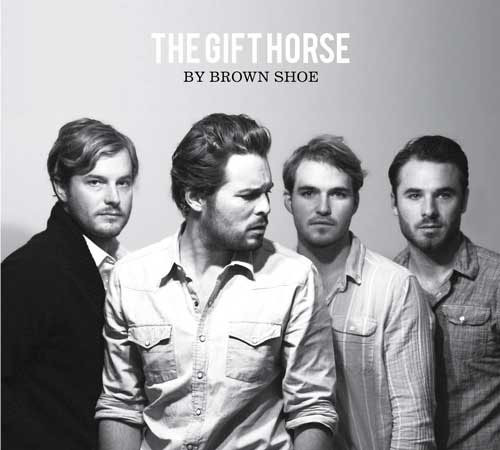 MP3: Brown Shoe - "Sick Man"
On Brown Shoe's final single "Sick Man" from their highly regarded album, The Gift Horse, the band exposes a brutally honest and telling side to a serious event that overshadowed the entire mindset of the record. Halfway through the recording process of The Gift Horse, lead singer Ryan Baggaley fell mysteriously ill. Diagnosed with what turned out to be a rare and unusual blood infection, upon being discharged, Baggaley went directly to lay down the vocals on what would quickly become "Sick Man." This probably happened a bit too soon - considering the fact that he was quickly readmitted - yet it's hard to not admire such ambition. Describing the time as being an "overly emotional time not only in my life but in the bands history," the song came to life with Baggaley being "in the middle of a nostalgic morphine induced yearning for a different place and time." While Ryan has spent the year successfully recovering, "Sick Man" offers a glimpse not only into the dedication of these four brothers and a friend, but also the oft-cathartic nature of their songs.